The artist is alwlays seeking diverse languages for creativity. I have found them exploring painting, drawing, photography, ceramics, mosaic, installation, collage, wood, metal, and relational art. - School of Fine Arts, Universidad Autónoma de Centroamérica, emphasis on watercolor. - Gisela Stradtmann Watercolor Workshop. - V Coaching for Management of the Artistic Carreer, MIT from the Universidad de Las Palmas de Gran Canaria. “Seven Women”, Alliance Française, 2001.” Costacuarela”, Sophia Wanamaker Gallery, 2004-08. “Costa Rican Watercolor in International Events”, National Gallery, 2005. “Costa Rica-Hong Kong”, José Figueres Gallery, 2005. Valanti Loft Gallery, 2006. “Art in Public Spaces: Watercolor lives”, Mupis located in the Metropolitan Area, San José, 2006-07. “Homage to Master Amighetti”, National Gallery & Calderón Guardia Museum, 2007. “21st Century Watercolor”, National Gallery, 2008. “Migrarte”, relational art experiences, Spanish Cultural Center, 2010.Costacuarela 2013. Costacuarela, 2014. 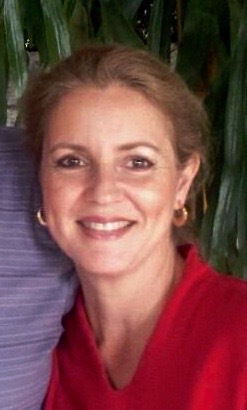 Costacuarela, 2015. 15 years of watercolour in Costa Rica, López Escarré Gallery, 2017. Alliance Francaise, 2000. Joaquín García Monge Gallery, 2001. Supreme Court of Elections, 2002. National Gallery, 2004. Punta Islita Museum, 2005. Herrradura Hotel, 2007. Relational art: “Urbanographies”, Central Bank Gold Museum, 2009. “Dance it!”, Central Bank Gold Museum, 2010. Autumn Festival, Hong Kong, 2004. VI International Watercolor Biennial, Mexico, 2004. “Tropic, the color of parallel 10” Spain, 2007. “Miniatures”, El Tunel Gallery, Guatemala City, 2009. Japan, 2016. International watercolour encounter, Fabriano, 2017.International Watercolor Museum, Mexico City, 2017. “Aguacuarela”, Luis Fernando Quirós, Ancora section, La Nación, November 14, 2004. “Pinceles de Cristal”, Dario Chinchilla, Ancora section, La Nación, June 17, 2007. “El Barco” Interview program, Sinart Channel 13, May 2009. Presidential House Collection, Costa Rica. Private collections in Costa Rica, Nicaragua, Panama, Guatemala, Mexico, United States, Spain, Germany. - Costa Rican Association of Watercolorists, President. Under the leadership of Ana Laura Vargas, creative contributions are obtained form other artists and professionals, selected in accordance with the specific requirements of each project. We work with specialists in architecture, photography, design and hand painting of ceramics, and others, as may be advisable to satisfy a client's artwork needs.